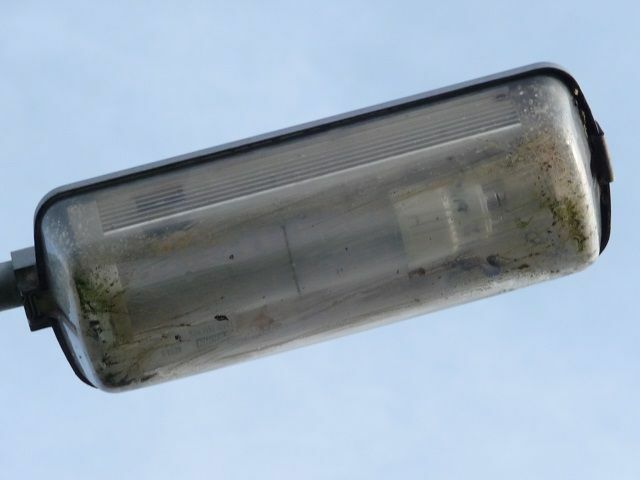 Bury Council have started to replace failed 35w Sox Lamps with LED retrofts. Bury have been buying lots of Philips stuff in recent years. Nice to see these veteran lanterns are still in active service, for the time being at least! 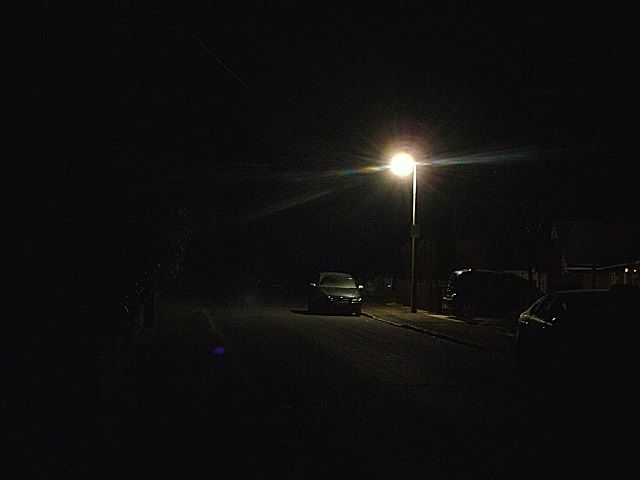 I imagine the output from the retrofit LED lamps will be somewhat throttled by the existing SOX (nee SO/H) optics, but on a quiet looking residential area like this, I wouldn't think this would be any great issue. It would be interesting to see them lit up, especially those Phosco top entries! Mind you, some vintage lanterns take on a totally different look with an LED fitted. 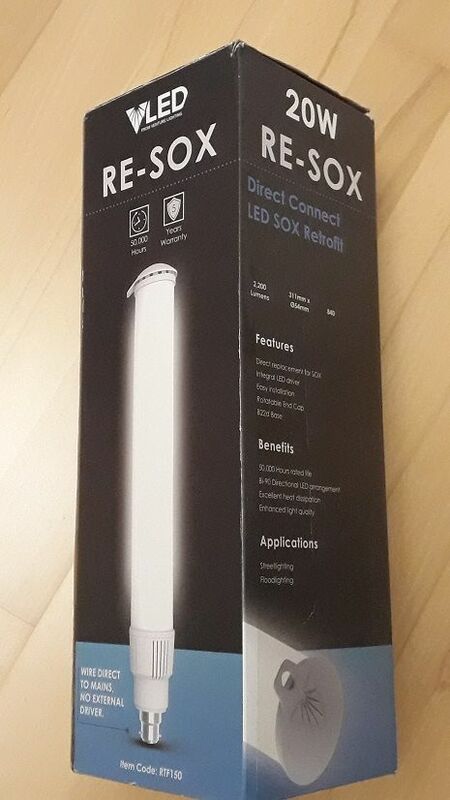 Whilst browsing Ebay , I noted another type of SOX retrofit lamp, rather than the more common Magnatech or INDO type, mentioned a few posts back. Looking on line, it doesn't seem to be listed by Venture Lighting themselves anymore, I couldn't find any stockists either, although a search did show up an image of an older version of the lamp with differently designed vents. 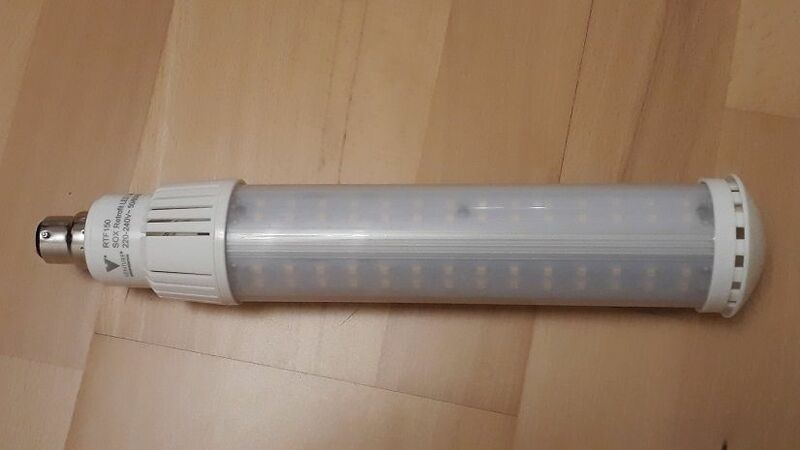 Unlike the INDO/Magntech designs which use a small number of high powered LEDs, this design has 3 rows of LEDs with 28 per row, so 84 LEDs in total. The heatsink is covered by the overall translucent sleeve, so it will rely on cooler air being drawn through the tube to dissipate the heat. After several hours running it was only slightly warm however. The design obviously isn't waterproof, so how it performs in leaky Beta 5s will be of interest. The bayonet cap is rotatable with respect to the main body. 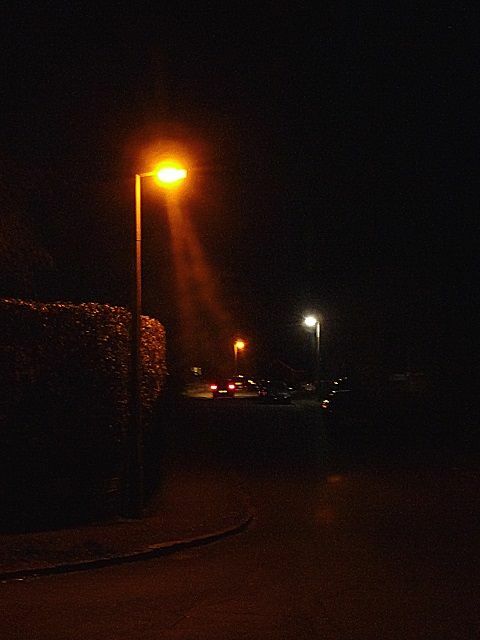 Literally the day after it arrived, I noticed a Beta 5 in my village with a failed lamp, had been fitted with a LED retrofit. 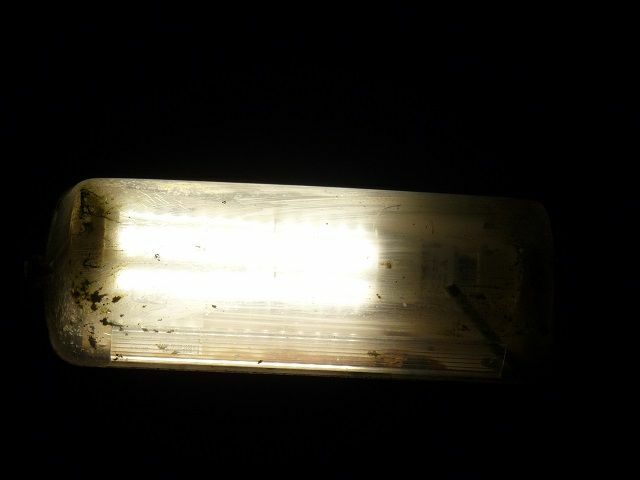 The triple row of LEDs clearly being visible, meaning it couldn't be an INDO or Magnatech variant. Daylight confirmed, it was the same lamp I had purchased. The V of the Venture logo could be made out through the bowl. At night, it was surprisingly effective, dare I say it, a better light spread due to the soft cut off characteristic of SOX lanterns, than the hard cut off of the Luma next to it. And on its own - as the supply was disconnected for the conversion, the lantern was running all night for the first night before reverting to part night operation on night 2.